Red Hook has great ship spotting! And the ship movements on the interactive map can help you identify some of what you're seeing. 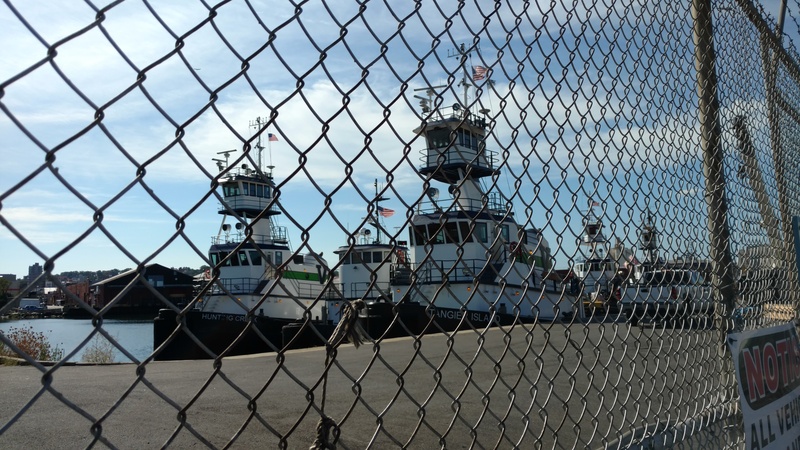 At the foot of Court Street, you can see Vane tugs and barges through a chain link fence. Columbia Street south of IKEA. 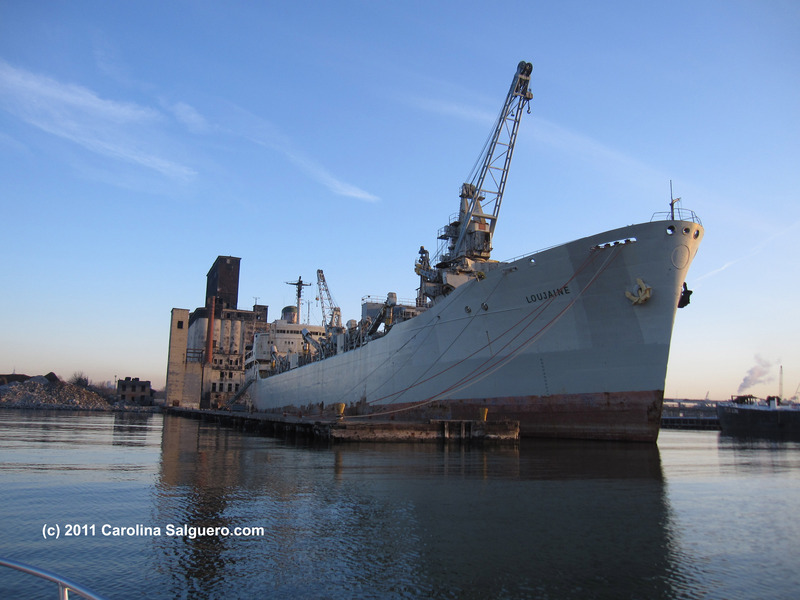 In Brooklyn Basin see Vane tugs and barges, retired bulk ship LOUJAINE, historic YANKEE ferry. Tugs pass close to Columbia Street past the bend in the road. IKEA’s pier in Erie Basin has a view of tugs, barges in the Erie Basin bargeport and the ferries coming to IKEA. There is also ferry service to IKEA by New York Water Taxi. Their schedule changes, so google that for a current link. 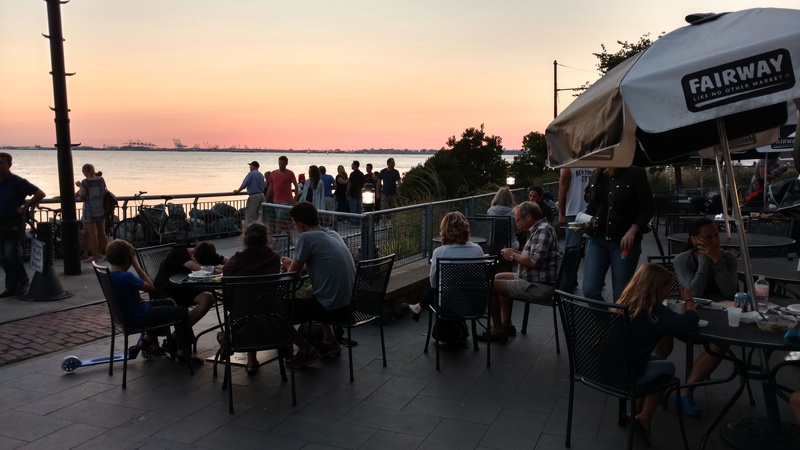 The O’Connell’s property offers a large swath of waterside access running west and north from the Beard Street Pier almost to Valentino Park. New York Water Taxi ferries stop along that esplanade, behind Fairway. Their schedule often changes, so google that. From the foot of the Beard Street Pier, you can get close enough to see tug captains smile. The west side of the Beard Street pier is public access (the east side is for truck loading). 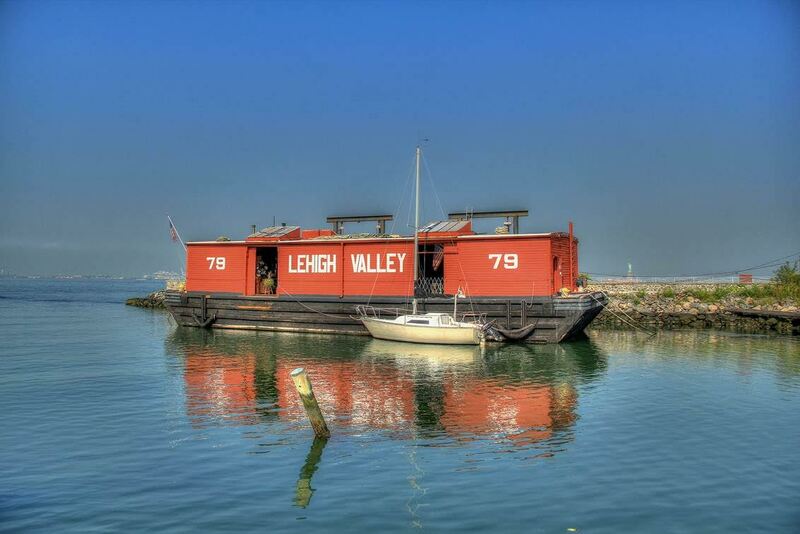 The LEHIGH VALLEY 79 historic barge that is home to the Waterfront Museum is located on Pier 44 at the south end of Conover Street. Valentino Park has great views of ships (cruise, container, bulk carriers), tugs and barges, sewage tankers, ferries, sailboats, e.g. just about anything that floats in this harbor. The western street ends of of Wolcott and Sullivan Street along the Buttermilk Channel have chain link fences which allows for ship spotting but is otherwise charmless. Pier 11 and all the asphalt outside the Brooklyn Cruise Terminal is a public access space. Pier 11, Atlantic Basin, is the homeport of our MARY A. WHALEN (which you can visit). 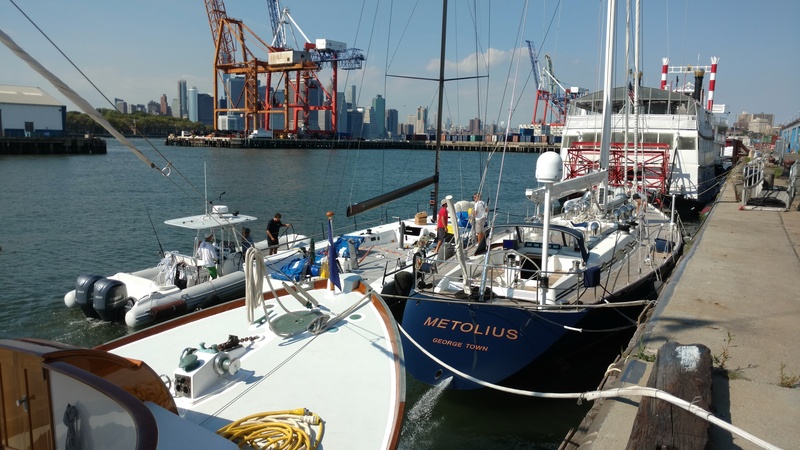 The pier has a changing, diverse array of vessels plus a good view of containerships loading and unloading in the Red Hook Container Terminal that are close enough for you to hear the bells when the gantry cranes roll and see the containers whizzing through the air. When cruise ships are in, it is possible to enter the Brooklyn Cruise Terminal area and photograph the exterior of the ship and you can see them from our MARY. The cruise terminal is closed when no ship is in. Bowne Street at Imlay: Always open. For vehicles, bikes and pedestrians. Pioneer Street at Conover: Always open. Not for cars. Bikes and pedestrians only. Ferris Street at King: open 6am - 4pm. Closed when a cruise ship is in. 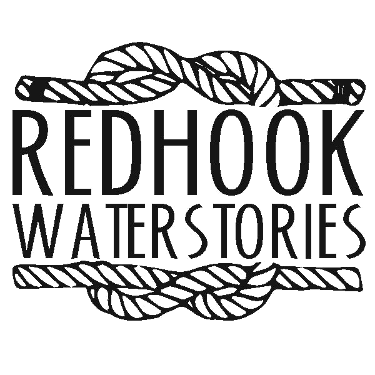 June 1 2017, the NYC Ferry stop for Red Hook began service. Their dock is parallel to our MARY A. WHALEN, between us and the cruise terminal. 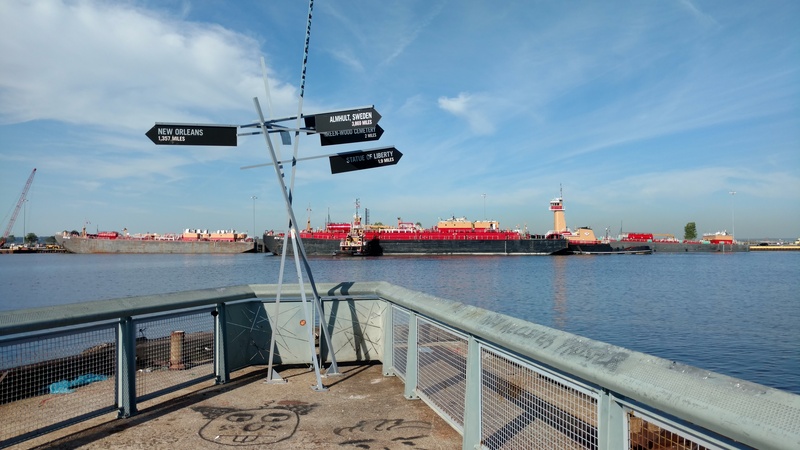 Van Brunt from Hamilton Avenue to Union Street and the side streets, container ships docked on Pier 10 of the Red Hook Container Terminal can be seen. Columbia Street near Degraw, specialty cargo vessels (most often a car carrier exporting to Haiti) can be seen on Pier 9A. Columbia Street from Warren to Congress Streets, Vane Tugs and barges can be seen on the north side of Red Hook Marine Terminal, Pier 8. Columbia Street from Congress to Atlantic, Bouchard tugs and barges can be seen on Red Hook Marine Terminal, Pier 7 whose north side is at the foot of Atlantic Avenue and abuts Brooklyn Bridge Park.